4	Soon to be released - What's next for Ashway? "Finding Liberty" is our next children's book. It is a patriotic book that includes the Pledge of Allegiance, America the Beautiful, and The National Anthem. 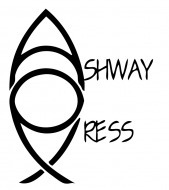 Ashway's holiday devotional is a must-have for families. Author Donna Evans' pens words in Holiday Bible Bits that penetrate hearts by sharing her own family experiences with a special needs adult during the holidays. You will never take another holiday for granted. Our children's release, "Nothing's Too Hard For Me" is our most exciting cause yet! Ashway partnered with an organization called Cheeriodicals, to deliver encouraging and inspiring books to sick kids across the U.S. Cheeriodicals first effort was launched when over 200 boxes of cheer were delivered to sick children in Birmingham, Alabama. We feel our book, "Nothing's Too Hard For Me", is the perfect companion piece to go in Cheeriodicals' cheery green boxes for hospital delivery. What a great cause! Our first book was released almost eighteen years ago. It is entitled "Journey with Jay." It's a true story of Jay Basselin's miraculous recovery from a horrific brain injury. Through the years, our readers have continued to seek updates on Jay and his family...and we have a surprise for you. We have an updated version of "Journey with Jay" adding over ten new chapters to share more about Jay and Jan's lives today. We have also included fascinating pictures of Jay before and after his accident. We don't think you'll be disappointed! Our children's adoption book is entitled "Child of my Heart". It is a book celebrating adoption and it reaffirms the concept that we are ALL truly adopted: from Adam & Eve, to Abraham and Moses, and finally to you and me. We are adopted into the Kingdom of God by the sacrifice made by our big brother, Jesus. It's a must-have for any child that has been bound in love to their parents through adoption. It also features the artwork of our newest illustrator, Susie Kelly Johnsey. Author, Donna Evans, a gifted speaker and well-known women's conference leader has penned an exciting devotional entitled: "Bible Bits--Simple Truths for Busy Lives." This beautifully written, daily devotional, addresses our hopes, dreams, joy, pain, and disappointments in this journey of life. Donna weaves real-life, heart-touching, daily insights in with her vast knowledge of powerful scriptual truths to reveal a glimpse of the Living God who desires intimacy with His children. This anointed work will direct, encourage, empower, and strengthen those who are weary from the demands of a busy world. Get your copy now!